Get him in the groove with this better brand 2-fer long sleeve tee from Freestyle Revolution. Freestyle Revolution captures the latest trends with color punch and trendy fit. The layered look is in navy and green colors on white. 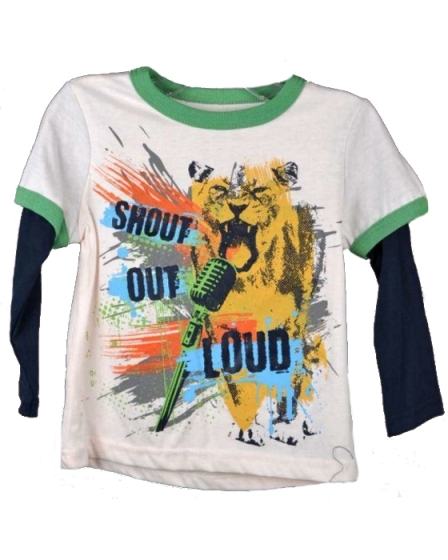 The print is of a bold gold lion with a microphone and the words Shout Out Loud. 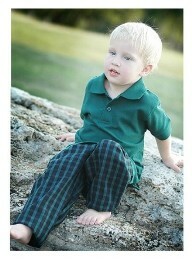 Mix it up with style and add some preppy - sporty plaid pants that color coordinate for your Dapper Lads personal look. The pants are sold separately and shown below. The navy plaid plaid pants pair perfectly with this tee. True to size. Machine wash. 100% cotton.